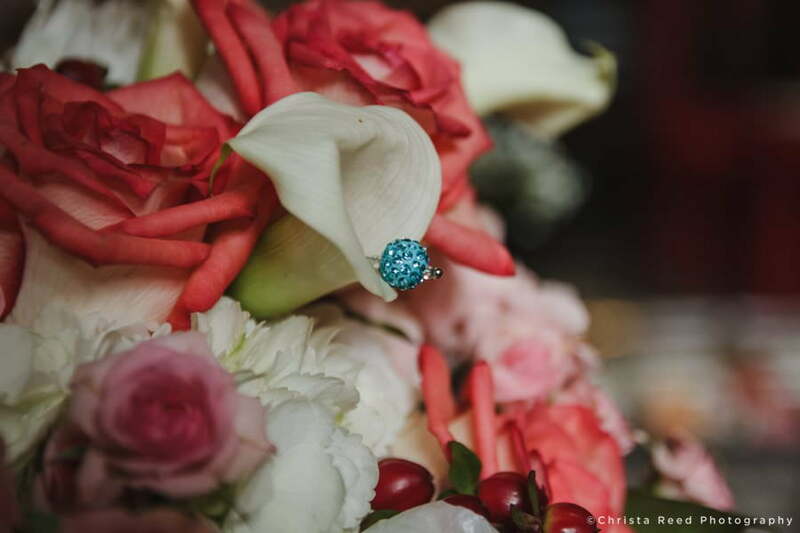 Weddings are a day when we celebrate. They are also a day when we often remember all the people we love who have gone before us. 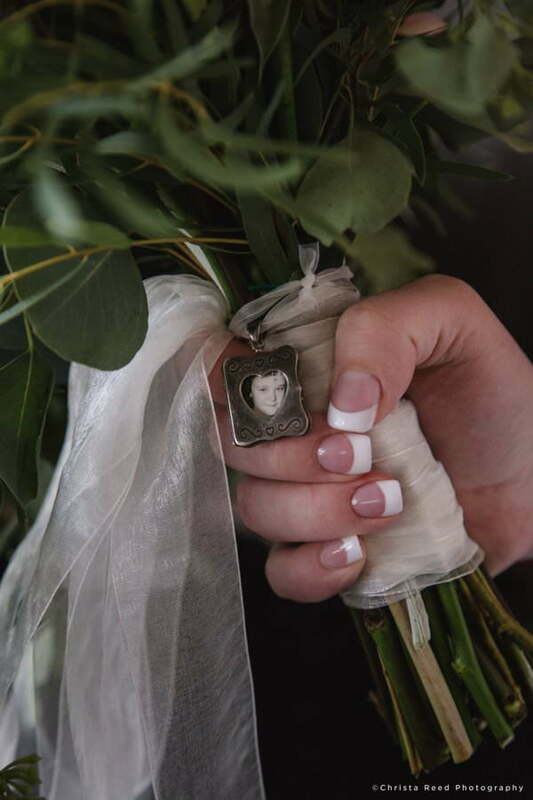 If someone important to you has passed, there are still ways you can include their memory in your wedding. Play a special song that reminds you of them. 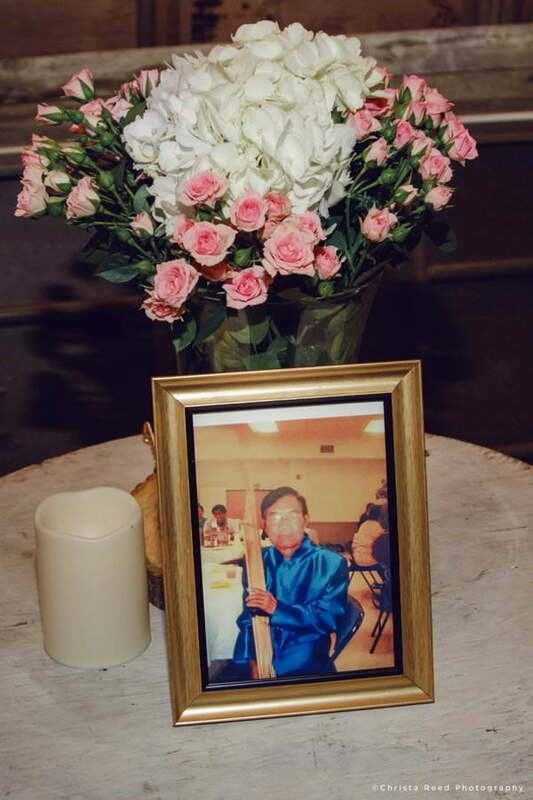 Include a table at the reception with a bouquet and photograph in honor of them. 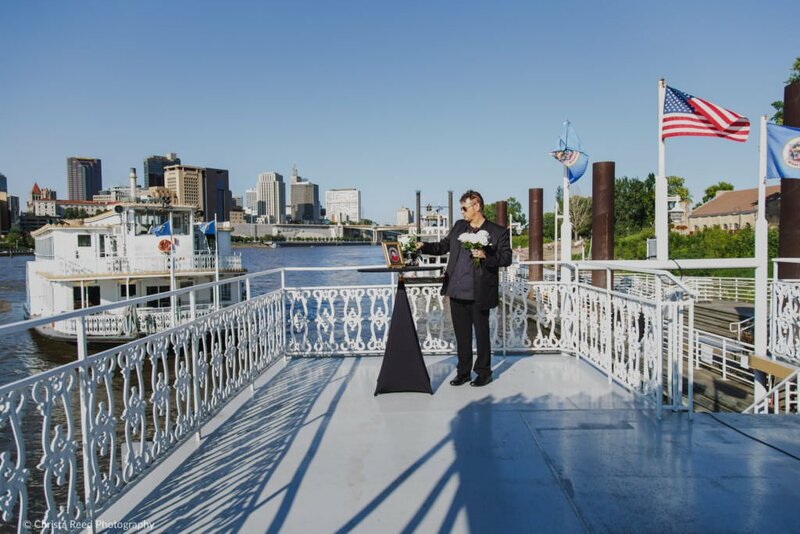 Remembrance table on a riverboat wedding in St. Paul, Minnesota. A remembrance table with candle and flowers for a parent at Rubies and Rust barn in Belle Plaine. Have a candle lighting during your ceremony in honor of all deceased loved ones on both sides of your family. A portrait bouquet charm to remember a child. Dedicate part of your reception toast to sharing memories of your loved ones. 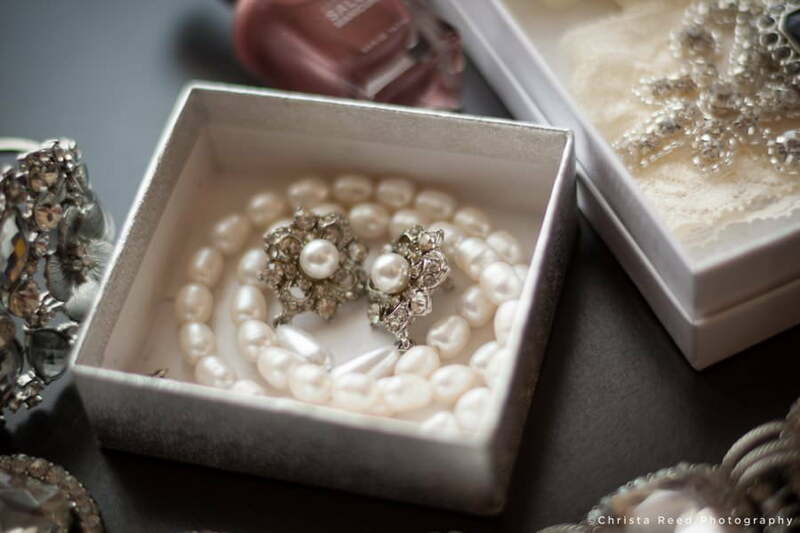 Add a special heirloom to your dress or suit. You can have it sewn into the lining so it’s with you all day. 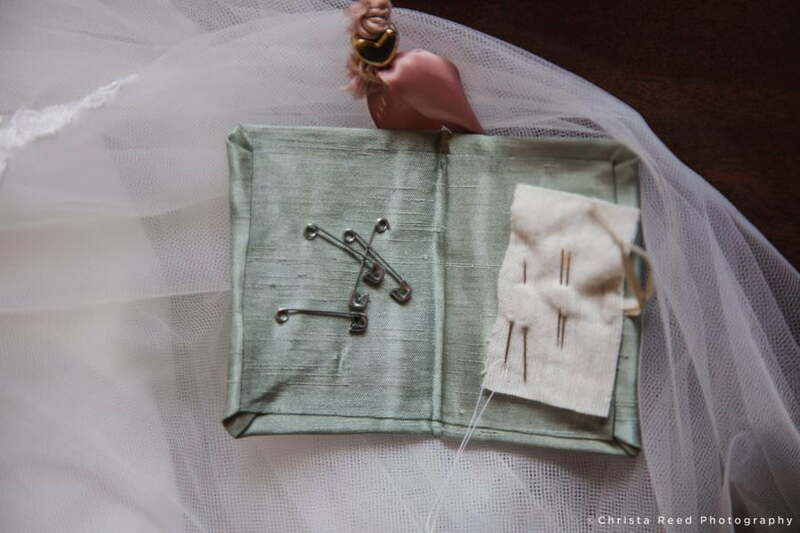 Vintage sewing kit at a St. Paul wedding. These are just a few ways you can honor deceased loved ones at your wedding. If you need help thinking of ideas while we’re planning your wedding photography I’m happy to do research and help you find more meaningful ideas. I’m a Minnesota wedding photographer located in Belle Plaine, traveling throughout the Twin Cities and the United States. Contact me via the contact form here. Learn more about photography and invitation design here.